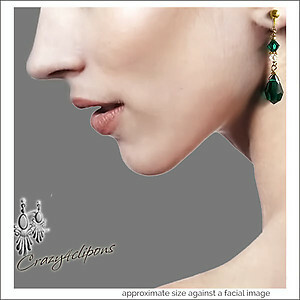 Features: Gorgeous emerald tones (Pantone's 2013 color of the year), combined with gold metals bring these gorgeous pair of clip earrings that will be perfect all year around! Available in both silver and gold tones. 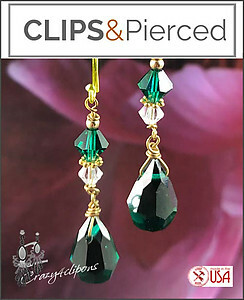 The good news, these pretty jewels are available as both pierced and clip earrings. Grab a pair for you and your loved ones!